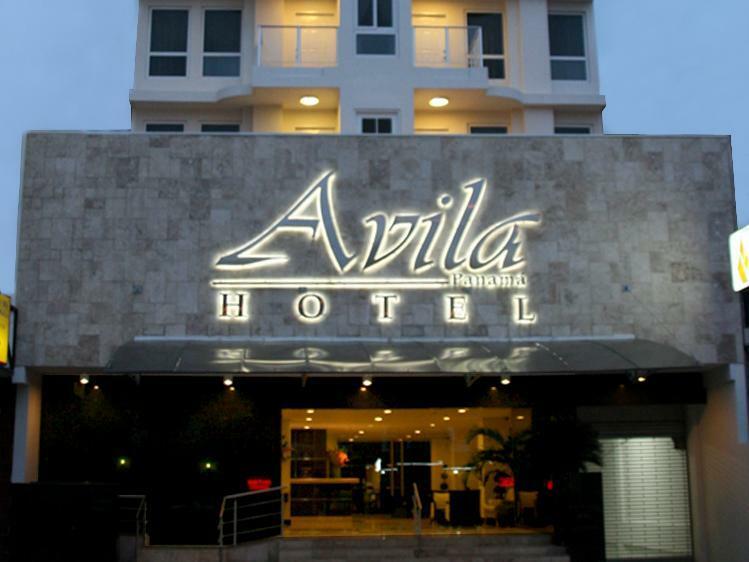 ﻿ Book Hotel Avila Panama, Calidonia (Panama City) - 2019 PRICES FROM $57! This downtown Panama City hotel is within 3.1 mi of the Bridge of the Americas. This centrally located features an on-site international restaurant, and a 32-inch Plasma TV in every room. Every accommodations at Hotel Avila Panama features modern décor and free Wi-Fi. Guests will enjoy the air-conditioned rooms, which are equipped with private bathrooms. Avila Restaurant is open all day and serves international and local cuisine, as well as a full breakfast a la carté. Adjacent to the restaurant is the hotel’s lobby bar with a full bar menu that features Panamanian cocktails. Hotel Avila offers free parking. A shuttle service to the nearby Albrook Mall is available for a surcharge. Tocumen International Airport is nearby, and shuttle services are also available. The hotel is within 3.1 mi of Panama Canal gate and is a 15-minute drive from Old Panama. The property also offers conference facilities. Please note that the hotel offers shopping transfers from the hotel to the city malls at no additional charge. Not a great hotel, has seen better dsys. Some staff not paticularly friendly, although sid their hob. Area not pleasant. Metro station 5 minutes walk - but doesn't go anywhere of interest. Good place. Clean rooms and comfortable beds and easy walking distance to a McDonald's. Was accommodating to my reservation change. Not very memorable, I wouldn't book this hotel again. The rooms were kind of run down, the wifi was slow and the neighborhood didn't feel particularly safe at night. There aren't many restaurants in the area. Nice staff, clean, comfy bed. Our stay was nice. The hotel is in an Ok area. In the nighttime, the nocturnal people of the streets can make it a little bit unsafe according to the girl in the reception. We never felt unsafe in the area, but we didn't walk out in the nighttime. We walked in the daytime. There is always a taxi coming by the hotel. Panama city is a pretty small city, so a taxi to for example Casco Viejo took only 10 min from the hotel. Breakfast was okay, but nothing more. Originally we were given a room at the front of the hotel right next to the busy Main Street. As soon as we got into the room we could hear the traffic and realised it was going to be noisy so we requested another room and were fortunately given another room straight away.the second room was smaller but much quieter away from the Main Street. Bathroom was very small but had all you need. Breakfast was standard but was often running low on some things. after 9:30. ...tip is to get there early. Hotel is not located in a great area...felt a bit unsafe walking the streets at night and not walking distance to any tourist sites. Hotel staff were quite friendly and were willing to look after our luggage before we took a taxi to the airport. stayed at avila for 3 nights, during our recent visit to panama city. location of hotel is good, and staff is friendly. although location is fairly central, we still felt that thje 80 usd/night we were paying were a bit over the top for what was essentially a non-charming room with a squeaky bed and grey-tiled flor and walls. a decent breakfast was included, and we had one diner in the same restaurant which was ok.
Hotel was one or two classes better than I expected from the price. I read a lot about bad areas for many hotels but this hotel was located in a good area. Nice staff and an internet that worked without any problem in the rooms. In the lobby there were two PC you also could use free on internet. Also print was free. Good buffe breakfast. No problem to stay after 12 when we had a late flight. stayed for one nite only. the room is regular; however, the breakfast is poor. bed is confortable and the shower is very good. wifi works inside of the room. nothing special, just ok. Die Lage des Hotels war ideal. Es war kein Problem in die Innenstadt zu laufen. Die Lage des Hotels war sehr gut! Wir konnten zu Fuß gut in die Innenstadt laufen und ans Meer. Das Hotel hatte eiun Dachterrasse. Hier konnte man abends gut den tag ausklingen lassen. Das Personal war freundlich. Das Zimmer war sauber und okay. Es gab einige Restaurants in der nähe. Allerdings war das Hotel etwas schwierig zu finden. Unfreundlicher Service beim Fruehstueck, magere Auswahl und miese Qualitaet. Lage des Hotels sehr unsicher. Taxis besser selber anhalten da das Hotelpersonal zu ueberteuerten Preisen vermittelt (Provision).